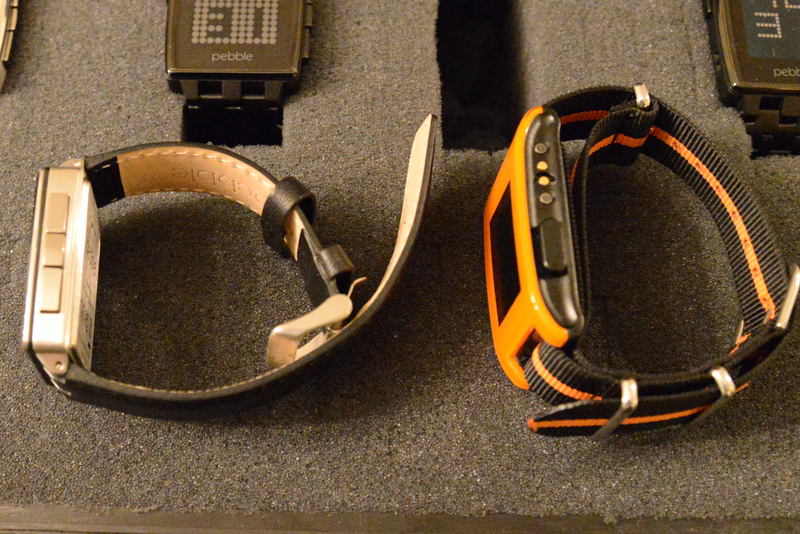 When we last visited Pebble, we suspected that the startup was at least a few months away from updating its hardware. It turns out we were wrong. Announced today and available to order, Pebble is unveiling its latest revision, called Pebble Steel. 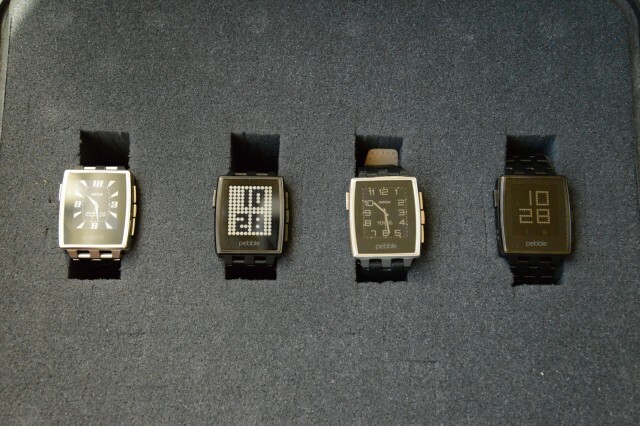 Housing the same internal hardware (including the same e-paper display), Pebble Steel features a more traditional watch design while being smaller and thinner than the original. The Pebble experience remains mostly unchanged. The same size display and identical internal silicon means developers have nothing to modify in their Pebble apps, though it launches with SDK 2.0 so apps based on earlier SDKs will be incompatible. We had a few minutes to speak with Pebble founder Eric Migicovsky about the new hardware's development, and we were impressed to discover that work on a refreshed design started just after the original began shipping to Kickstarter backers. Early criticisms focused on the size of the device, particularly its length, and the inability to pair the device with dressier outfits. The original Pebble's design is unabashedly chunky, and the glossy plastic fits in well with jeans and a hoodie. Worn with a suit though, the Pebble stands out awkwardly. Pebble Steel, especially with an analog watch face, looks like a traditional watch.